On Contact tab...../Special Offers. 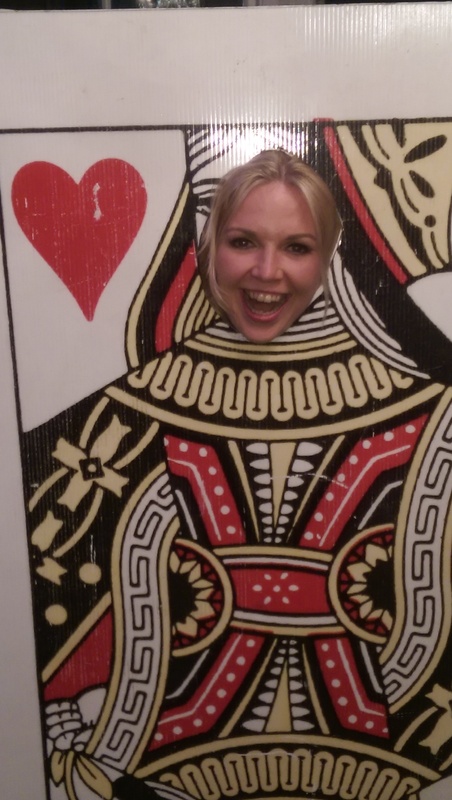 Parties 2019 Fun Casinos & Photo Booth hire. 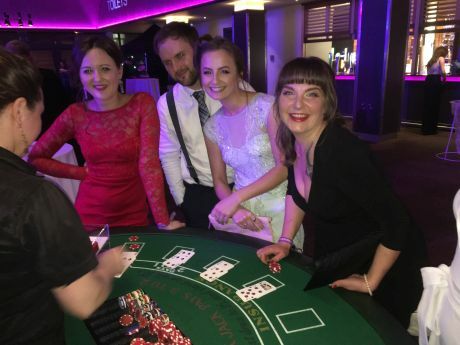 We will arrive at your casino venue at least an hour before the fun casino begins, assembling the selected games tables, we then present all of your guests with their fun money which is exchanged at the casino tables for playing chips...Let the games begin!. 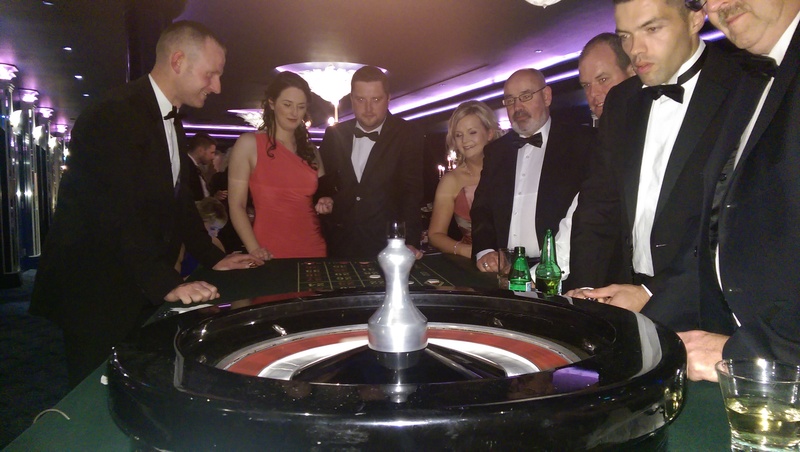 We create a real live casino with, with professional casino equipment & bubbly Croupiers, presenting an evening of breathtaking casino fun. 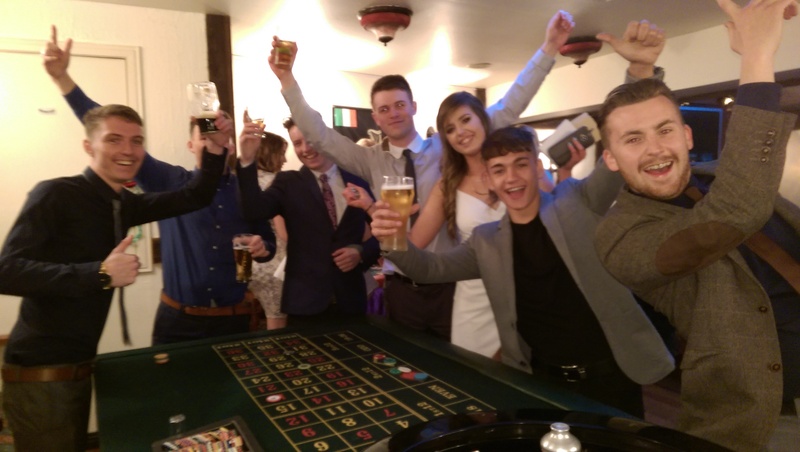 Our fun casino lasts for two hours, when we wind down play, count everyones winnings from all tables and the seven top earners enter our grand final on The High Rollers table. The casino finishes on a tremendous crescendo with friends, colleagues relations of the finalists roaring them on. The beauty of our Fun Casino is ..it includes everyone.. Its not gambling ..It is an inclusive show where everyone takes part and our staff will have tables full in no time!!! Every occasion will dazzle - Wedding Entertainment, Fundraisers, Corporate Evenings, Home Casinos, Product Launches, Birthdays.....Why not include our photo Booth Hire and Candy Cart Hire Ireland Package! 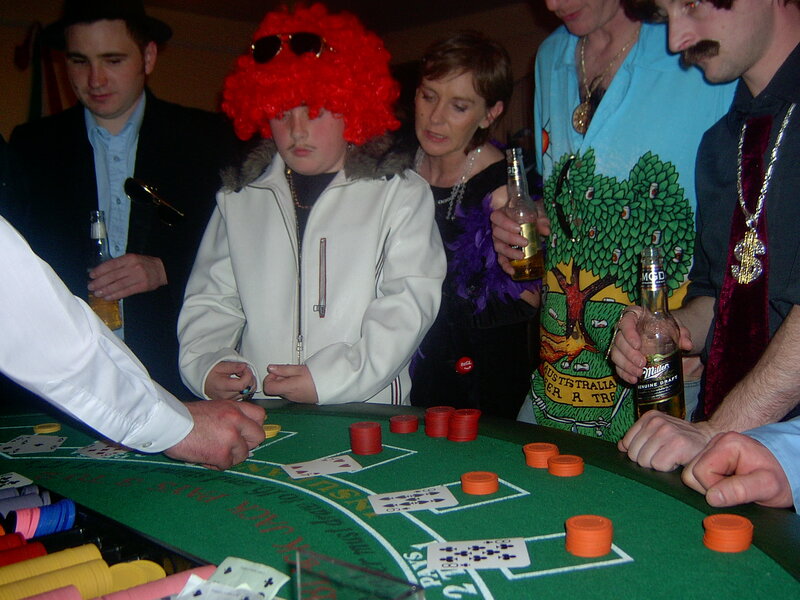 We now include Texas hold'em poker hire in the casino package. 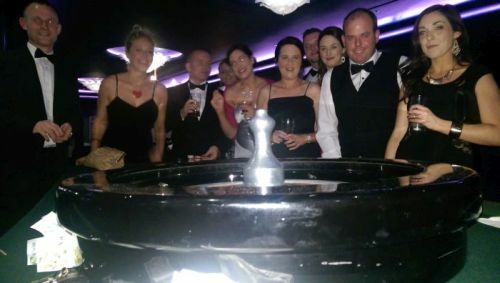 Fun Casino Fundraiser Ireland ..Here the casino is different from the normal format.. Guests will receive complimentary fun money included in their ticket price.. When guests bets are lost, there is the opportunity to buy more fun money. The fundraiser casino can be played for three hours and finishes with the top seven guests with most winnings entering the final or an auction , where donated prizes can be up for highest bidder. There are many ways to raise funds at the casino night....contact us for all "Fundraiser Details"! I had Tom at my wedding a couple of days ago and they were a fantastic addition, especially as an alternative to our band for folks that wanted a bit of fun in a quieter atmosphere. It was a hit with the crowd and Tom and his colleague were consummate professionals. Our dinner was a little late and Tom pushed the start time back which wasn't necessary but he did it anyway to ease my concerns and worked around a few issues that I made for myself along the way (e.g. The date was moved the week of as I hadn't realized I had agreed to the wrong date!). Expectations exceeded to say the least and I would easily recommend them.